Sunday Salon - May is over! June is almost here! Another week has gone by and I finished 3 books this week, as well as finished 2 reading challenges. So, I feel like I got alot accomplished. I haven't done my monthly wrap up yet. I'll probably do that next week. If anyone is interested, I'm having a book giveaway running through June. 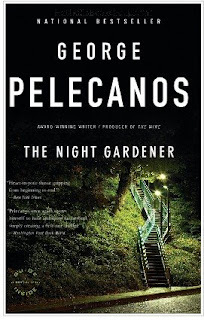 June's giveaway is for The Night Gardener By George Pelecanos. It looks like a wonderful read. If you want to enter, just click the book cover in the sidebar. We're having beautiful weather this week in New York and I intend to enjoy it. I'll probably spend time reading in the yard. Hope everyone has a great week! School psychologist, Skye Denison, cannot believe it when she learns he has been entered into the Grandma Sal’s Soup-to-Nuts Cooking Challenge. Skye’s mother, May, is the true cook in the family, but she is only entitled to one entry. With four entries to submit, May enters one recipe with Skye’s name on it. There’s no way her mother would let her out of the contest, so Skye finds herself stuck as one of the contestants. Trouble brews when malicious pranks sabotage the contestants’ entries, Grandma Sal’s family is at odds, one of her teenage students is missing and one of the more obnoxious contestants is found dead in a chocolate fountain. Not to mention Skye’s boyfriend’s father shows up in Scumble River and it’s clear he has a hidden agenda. All of this, as Skye desperately tries to make her cooking entry a success. She can’t let her mother down, but she also has to assist the police in finding the killer before more contestants end up dead. This is the 10th book in the Scumble River Mystery series and I’ve truly grown to love Skye Denison. I always feel like I’m visiting with an old friend when I read one of these books. There is only more book in the series left, but I’m sure Denise Swanson will have more released soon. If you like a fast-paced mystery with charming characters, give this series a try. Each book can be read as a stand-alone, but I would start at the beginning so you can see how Skye’s relationships develop and how she grows as a person. Themed Reading Challenge – With this book, I completed the challenge! I was given this award by DeSeRt RoSe at DeSeRt RoSe BoOkLoGuE. Thank you so very much! I really appreciate this one! 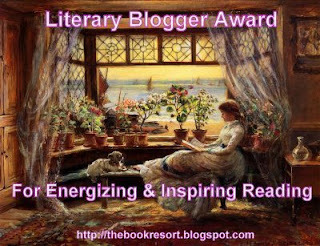 The Literary Blogger Award acknowledges bloggers who energize & inspire reading by going the extra mile. These amazing bloggers make reading fun & enhance the delight of reading! 2) Nominate up to 9 blogs. It’s been a long time since I read a Kristin Hannah book and this one reminded me how much I missed her books. I really need to pull them out of my TBR and catch up. I listened to the audio version of this one and what an outstanding book! This is the story of two women who become best friends in their teen years. Kate was the quiet one who never quite fit it. Tully was the outgoing one…the cool girl that Kate wanted to be. However, Tully had anything but a happy life. Her mother abandoned her, leaving her grandmother to raise Tully. Once Tully’s grandmother passed away, Kate’s family drew Tully right into their home and she quickly became one of the family. We live through Tully and Kate’s life as best friends through the 1970’s, which brought back some wonderful memories of my own. When Hannah writes about the music of that time period, I can hear the radio in my mind and remember back to those days. It was like reliving my own teen years. Tully becomes a popular television personality, while Kate is a “stay at home” mom and raises her family. Like all relationships, Tully and Kate’s has its ups and downs. Things really take an awkward turn when Kate’s daughter is mesmerized by Tully’s lifestyle and has major clashes with Kate. Unfortunately, Tully is in the middle, often going against Kate’s wishes. After one major falling-out, it looks like Tully and Kate’s relationship might come to a vicious end and things might never be the same again. This is an emotional read…talk about tugging at the heartstrings. This book does that and so much more. I listened to this in the car on my way to work and I had to control my tears from flowing – otherwise everyone at work would have been worried about my red eyes  Talk about realistic characters, this book has them. A realistic storyline? Yep, it’s definitely there. I have to give this book the Socrates’ Great Book Alert medal. It also completes my Audio Book Challenge for 2009! 1. It's cold and dreary today. 3. My favorite health and beauty product is French Vanilla soap from Bath & Bodyworks. 4. I'd like to go on a nice long ride. 5. Well, first of all it's almost the weekend and I intend to enjoy every minute of it. 6. Co-workers; those were the cast of characters in a recent dream and it was crazy. 7. And as for the weekend, tonight I'm looking forward to reading, tomorrow my plans include grocery shopping and more reading and Sunday, I want to watch movies! If you'd like to play along with Friday Fill-Ins, just click the button at the top of this post. Interesting question, I really don't think there's anything I wish I could "unread". Even if I didn't like a book, at least I knew I might not like the particular author or genre. It helps to give me an idea of what I like or don't like. I guess I just count it as part of the reading experience. You can learn from things even if you don't particularly care for the style of writing or storytelling. The great people at Hatchette Books are sponsoring another book giveaway just in time for some beach reading! I'm able to give away 5 copies of The Night Gardener By George Pelecanos. This looks like a fabulous read! *Added: Subscribe to my blog and mention that in the comments, too, for another entry! All entries must be submitted by June 19th, midnight est. I will contact the winners by email. If I don't get a response within 3 days, another winner will be chosen. I haven't participated in a few weeks, but I just stumbled upon a book I'm anxiously awaiting. If you'd like to play along with "Waiting on Wednesday", click the button at the top of this post. You are Pride and Prejudice (Jane Austen); intellectually stimulating, romantic, and sardonic. You are a brilliant love story about how two people go through a complete change of feelings, and about how society of the early 1800s was quite hilarious. I'm glad they found love, because they used to hate each other. Go say something sarcastic. Check it out at Which Book Are You? Today’s MUSING MONDAYS post is about gift certificates… Do you give gift certificates to book stores as presents? If so, do you give for actual stores or online stores? Do you like to receive them yourself? Yes, I do give gift certificates for books. Usually I give them to Amazon.com. For the people I give them to, it's easier for them to just go online and choose whatever books they like. My personal feeling is not to give actual books as gifts because I never know what someone may have read already or what someone wants. I feel that books are a personal gift and people should choose whatever they'd like :) I've received books as gifts in the past and they were either a book I already read or had or something I wasn't the least bit interested in reading. To me, books are a very personal thing. Not too much this week, but three books are better than none! If you'd like to play along with Mailbox Monday, just click on the button at the top of this post. Sunday Salon - It's Memorial Day Weekend! 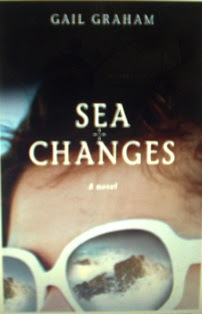 This week I finished reading Sea Changes. You can read my review here. I loved this book. Very touching and emotional. I was also lucky enough to interview the author of the book, Gail Graham, and you can check out my interview here. She is a very interesting lady. I'm now reading Synarchy, Book #1 The Awakening by DCS. 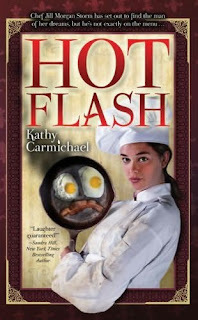 I'll be reviewing this book on June 15th and then hosting a blog tour. I've never hosted a blog tour before, so this should be a lot of fun. 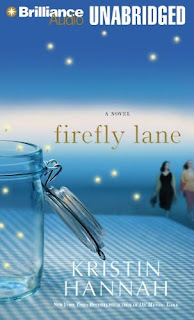 In the car, I'm listening to Firefly Lane by Kristin Hannah. I love the characters in this book and I'm enjoying it very much. I used to adore this author, but then I had so many books in my TBR, I just hadn't gotten around to reading anymore of her books. I'm glad to see she still writes heartwarming books. I'm not really sure what books I'll get to this week. 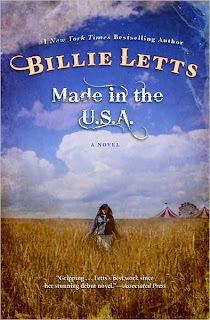 I have three reviews to do - The Girl Who Loved Swimming, Made in the U.S.A, and Bella Ella by J Lou McCartney. McCartney wrote The DeMarco Empire, which I reviewed here . I loved The DeMarco Empire, so I'm thrilled to get a preview of her second book. It's not yet scheduled to be published. 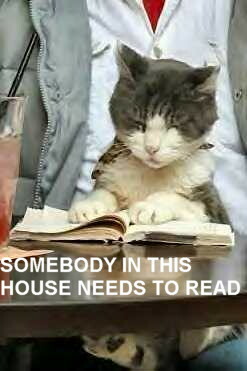 I plan to spend the rest of my holiday weekend relaxing and getting more reading done. My favorite things! What are you doing this weekend? This adorable one is from Desert Rose Booklogue. This is what the award means..
That is what the Heartfelt award is all about feeling warm inside : ]. I wanted to create something to express that toasty feeling. The next award is a sweet one I received was from Bev at Merry Weather Book Blog. This is the Making Lemonade Out Of Life's Lemons Award. I've already received this award and given it out, but I'll give out a few more to other bloggers who are equally deserving of this award. If you accept please pass it on to five other bloggers who you know have managed to make the best of what comes their way. Emails have been sent to all the lucky winners! Please send me your snail mail addresses so that I can forward them to Hatchette Books. Congratulations! 2. Nothing is ever really free. 3. My best quality is I'm honest. 4. Details! I need more details. 5. In nearly 10 years, I'm going to be so old! 7. And as for the weekend, tonight I'm looking forward to catching up on TV, tomorrow my plans include resting and watching movies and Sunday, I want to do grocery shopping and more rest! If you'd like to play along with Friday Fill-In's, click the button at the top of this post! You can also check out their website at www.openhousegallery.org. The Socrates’ Book Review Blog is happy to have Gail Graham, author of Sea Changes, join us for an interview. Welcome to our home, Gail, and thank you for taking the time to talk with us. 1) The main character in SEA CHANGES, Sarah Andrews, is a widow. How much of your personal experience did you draw on to write this story? My husband passed away 20 years ago, and I was amazed that as a widow, I had “ceased to exist”. Colleagues kept their distance, and our mutual friends simply vanished. (I think the women were scared I’d steal their husbands!) Although everyone wants an extra man at dinner, nobody wants an extra woman. I was still alive, but my life was gone. I felt like an alien, and that feeling was exacerbated by the fact that I was living in Australia, a very different society from the United States. So yes, SEA CHANGES grew out of my own experiences although the character of Sarah is fictional, purely imaginary. I’m not nearly as brave and resourceful as Sarah! 2) Do Americans and Australians view or treat widows differently? How did your time in Australia shape Sarah’s experiences? Americans and Australians have very different ideas about how relationships between men and women should be conducted. Australians are not romantic, in the American sense. (When we first moved to Australia in 1970, I remember my husband being very upset because he couldn’t buy a Valentine – because there weren’t any!) Actually, Australian men and women don’t like one another very much. Even after they’re married, men go out with their men friends and women go out with their women friends. At parties, all the men cluster at one end of the room and all the women gather at the other end. As far as I know, there are no heterosexual love Australian love stories (novels or films) that have happy endings. So Australians don’t have much patience for grieving. They don’t care, so they don’t grieve. Empathy and tenderness just aren’t part of Australian life. Setting SEA CHANGES in Australia made it possible to underline the feelings of anomie and foreignness that widows feel -- for Sarah, Australia was an alien world. Australia was as strange to her as Xaxanader’s world. She was already an outsider. And with Charles already dead, she had nothing to lose. I think it’s when we feel that we have nothing to lose that we sometimes have our greatest adventures. 3) What are some of the cultural differences between Australia and America? I’ve already talked about the difference in male/female relationships, which is reflected in the Australian lack of what Americans would call courtesy. Australians don’t say please, or thank you. They consider civility to be servility. So there’s no chivalry, no gallantry, no idea that women should be treated with consideration. It’s a very rough society, very brutal. Also, Australians don’t value education. I taught in Australian universities and was absolutely shocked at the low standards and utter lack of respect for intelligence and scholarship. Australians don’t believe in testing, because they think it’s harmful for kids to compare themselves to other kids. Everyone just passes. Kids can go all the way through high school and never learn how to read. Australians don’t like to learn. In fact, Australian trade unions actually have it written into their agreements that their members will not be required to learn anything new. So in that sense, it’s very different from America. Another big difference is that Australians don’t value or take pride in the work they do. Trade unions control every aspect of Australian working life, so there’s a built-in idea that the employer/employee relationship is adversarial, rather than cooperative. And it is. Australians have a saying, If it’s worth doing, it’s worth doing badly. It is a point of honor in Australian never to do anything beyond what is required. And since remuneration is based upon seniority rather than upon ability, there’s no incentive to do a good job. In fact, it’s just the opposite. If you’re seen as working too hard, you’ll get in trouble with your trade union. Just about every salaried occupation in Australia is controlled by a trade union. There’s even a Miscellaneous Workers Union for people who don’t fit into any of the other unions. As an American, I found that very oppressive, because you had no choice. If you didn’t belong to the union, you didn’t work. 4) Sarah’s daughter, Felicity, is not particularly supportive of her mother’s extended mourning period, arguing with her over everything, from the estate to wanting her to date again. Are children often impatient in these situations? Children do not come with a guarantee. Most parents do the best they can, and sometimes their children turn out to be warm, loving and supportive and sometimes they don’t. The main point I was trying to make with Felicity in SEA CHANGES is that migrants often “lose” their children – the children grow up in the new country with new values that are often quite different from the values of their parents. That’s something a lot of Americans don’t understand about the migrants in our midst – that not only are they coping with a new country, they’re also coping with the gradual loss of their children. Felicity resents Sarah “not being like the other mums” and that resentment is at the root of their problem. And of course, there’s nothing Sarah can do about it. 5) You place Sarah in a very funny dating situation where she gets stuck with the tab. Is this based on personal experience? Do some men date widows out of sympathy? Yes, I once got stuck with the tab. Perhaps American men date widows out of sympathy, but Australian men certainly don’t. There are introduction agencies in Australia, but they don’t match you with your soul mate. They’ve got half a dozen men who go out with one woman after the next, and sometimes – like Brian -- the man scores a free meal. That’s why they do it. If anything, widows are exploited in Australia. Certainly, they are exploited by the introduction agencies, who take advantage of their loneliness. It’s very cynical. But Australia is a very cynical society. Australians actually take pride in their cynicism. 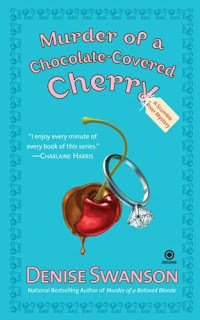 6) Based on your own personal experiences, was this a difficult book to write? No, it was fun. Once Sarah got beneath the surface of the water, I had a marvelous time. However, the plot twist that involved Bantryd coming home with Sarah was Bantryd’s idea, not mine. I just sort of went with it, wondering how it was all going to turn out. From that point on, SEA CHANGES just wrote itself. (That’s not to say there wasn’t a lot of revising and rewriting and polishing, because there was) But I love it when that happens. 7) What made you decide to write this book? I was intrigued by the unique experience of widows, and by the fact that nobody else had written a book about the journey of widowhood, the necessity of constructing an entirely new life and new identity for oneself. It is a journey, but quite a few women shy away from it. They don’t want a journey. They want their life back. So they hurriedly remarry, or they become recluses, or alcoholics. I didn’t want to take the journey either, but I had no choice. And I found that once you stop fighting it and just go with the flow, it can be a very exciting and rewarding journey. It has been for me. 8) What other books have you written? My novel CROSSFIRE: A VIETNAM NOVEL won the Buxtehude Bulle, a prestigious German literary award, and was translated into French, German, Danish and Swedish. I wrote a biography of the young Mao Zedong, A COOL WIND BLOWING. My son Jim sustained massive brain damage in a car accident (that’s another difference between Australia and America. They don’t do rehabilitation in Australia) and I wrote two books about our struggle to obtain basic medical treatment for him, STAYING ALIVE and A LONG SEASON IN HELL. And a couple of childrens’ books, THE LITTLE BROWN GAZELLE and THE BEGGAR IN THE BLANKET. 9) Do you have any advice for women going through the things Sarah is going through? It’ll get better. It may take years, but it’ll get better. The pain goes away, and you can start to enjoy the happy memories. And you will enjoy them, I promise you that. Put the old photos away if it hurts to look at them, but don’t throw them out. Some day, you’ll want them. And don’t give up. Widowhood is awful, but the only way out of it is through it. So keep going. When the darkness finally lifts, there’ll be a rainbow. Maybe even a pot of gold. Anything is possible. 10) Do you plan to write a sequel to SEA CHANGES so readers can catch up with Sarah? What an interesting idea! I hadn’t thought of it until you mentioned it, but the possibility is intriguing. So who knows? 11) Do you have a website that readers can check out your other work? Once again, thank you for taking the time to visit us. Good luck with your book, it was an amazing read. I’d also like to thank Lauren Pires, Associate Publicist for Jane Wesman Public Relations, Inc., for arranging this review and interview for Socrates’ Book Reviews. Two years ago Sarah Andrews’ world fell apart. Her beloved husband passed away leaving her feeling abandoned. Now her daughter, Felicity, is pushing her mother to get back into the swing of things and meet new men – even to the point of signing Sarah up for a dating service. Sarah’s psychologist doesn’t offer much help, so Sarah comes up with s solution of her own. She’s ready to end her life by drowning herself. However, when Sarah goes into the sea, she discovers another world waiting for her. This world is much more pleasant with people who don’t continually want something from her or expect her to “get over” her grief. One young woman, Bantryd, particularly touches Sarah’s heart. Suddenly, Sarah finds herself back home on the beach. She wonders if the underwater life really exists or was she dreaming. Worse yet, was she losing her mind? When Sarah pays another visit to the sea, she is followed by Bantryd, who is searching for her parents who left the sea years ago. Sarah realizes this is no dream. She really did discover an alternate universe. She tries to help Bantryd, but Bantryd becomes sick, unable to stay away from her undersea life. Also, Bantryd has an uncanny resemblance to Jennyfer Blanchard, an heiress who recently disappeared. This resemblance leads the police to Sarah’s doorstep as she risks her own life to protect her friend. Sarah desperately tries to get Bantryd back home to the sea, but doesn’t realize they are being taped. Everyone, including the police, jump to the conclusion that Sarah drowned Jennyfer. As much as Sarah pleads her case, her words fall on deaf ears and she becomes a much sought after criminal. This book takes place in Australia and I found it interesting that there were so many differences in the law between Australia and the United States. The major difference being that not everyone was entitled to legal defense. Written beautifully, this is a story of one woman’s struggle in dealing with grief and a world that feels she should move on with her life. Can anyone really decide when the time is right for someone else to stop grieving? My heart broke for Sarah and all she was dealing with, as well as the lack of support from her family. I truly enjoyed this story and hope we meet up with Sarah again. The only other memory I have is reading Harlequins when I was a teenager. That, of course, carried over to adulthood. No one in my family was as much of a reader as I was. I think I just enjoy the escapism of reading...getting away from real life for a few hours and burying myself in a fictional world. I think I just found my love of reading on my own. If you'd like to join in on Musing Mondays, just click the button at the top of this post. If you'd like to join in on Mailbox Mondays, just click the button at the top of this post. Saturday Night at the Movies or TV Screen - Goodbye Prison Break! 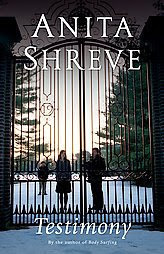 I was going to do this post all about the season finales this past week and next week, but last night I watched the series finale of Prison Break and decided to concentrate on this show. I'm not going to post any spoilers, I don't want to ruin the finale for anyone who hasn't seen it yet. The show began in 2005 with Lincoln Burrows being accused of a murder he didn't commit. He was immediately sentenced to the electric chair. His younger brother, Michael Scoffield, races against time to stage a prison break to help him escape (since all legal avenues seemed like dead ends). Michael fakes a bank robbery in order to get arrested himself and join us brother. Michael is a genius and figured out a way to break out of the prison, but he had to be on the inside himself. Along the way, he falls in love with the prison doctor and makes friendships with a mixed bag of criminals to help the brothers escape. They all manage to escape, but aren't quite as free as they thought they'd be. The next four seasons we learn that Lincoln was set up by "The Company" and they must stop the company in order for themselves not to spend the rest of their lives on the run. The best season was probably season 1, but I did enjoy the following three seasons. FOX, sadly, canceled the show this season and allowed Prison Break a chance to return and end the story, which they did last night. Like I said before I won't give away anything for those who haven't watched but I wanted to give a fond farewell to a show I enjoyed for the past four years and say goodbye to some wonderful characters and actors - Wentworth Miller, Dominic Purcell, William Fichtner, Amaury Nolasco, Sarah Wayne Callies, and even Robert Knepper (who played the evil T-Bag to perfection). The show was a great ride! Thank you for that! Booking Through Thursday - Book Gluttony? Musing Mondays - Those TBR Piles! The Sunday Salon - April Wrap Up!